Beauty Care Choices: Reindeer Nails...add a little fun to your holiday style! 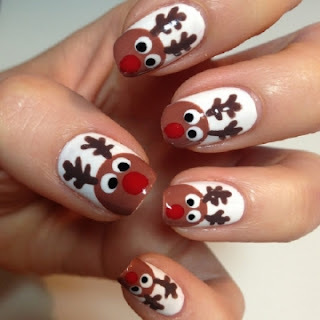 Reindeer Nails...add a little fun to your holiday style! These may look very complicated, but they are really very easy to do. - Start by painting your nails white and letting them dry. 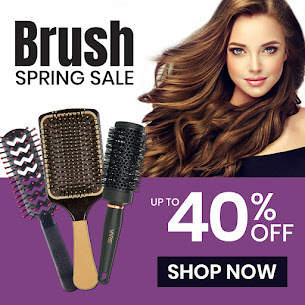 - Once the brown color is dry, use the tip of a brush to make the face features. Round drops form the nose and eyes. Small round black drops complete the eye. - Finally, use a thin brush and deeper brown for the antlers. - Finish with a clear top coat to seal. Remember, these are fun...they don't al have to be perfect! These are adorable but I would have to have someone else paint them on. No way my hand is steady enough for such nice work.